Why isn't the US ready to withdraw from Afghanistan despite failing to reach any success during its 16-year-long military presence there? Sputnik Afghanistan discussed it with Afghan political analyst Akhtar Shakh Hamdard, who explained what the real purposes of the US presence in this country and the whole of Central Asia are. On Monday, the Russian presidential envoy to Afghanistan Zamir Kabulov, a high-ranking career diplomat, acknowledged the failure of the US military campaign in Afghanistan. 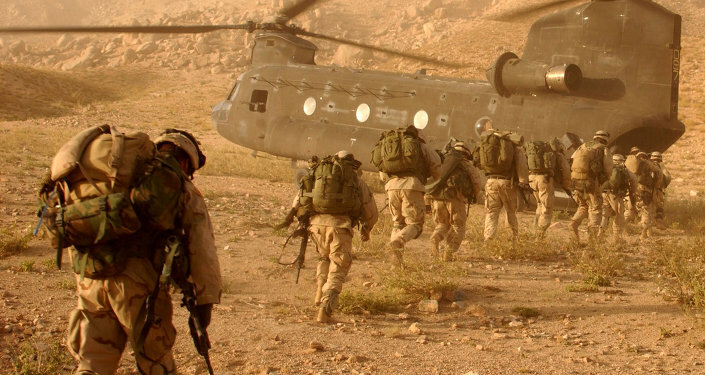 "The American campaign in Afghanistan has failed. 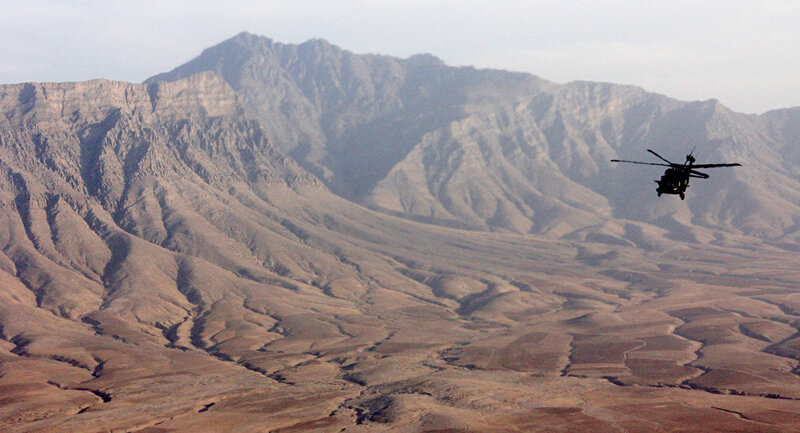 Afghanistan risks becoming a global incubator of international terrorism. It has, in fact, already partially grown to become it," Kabulov said in an interview with the Russian newspaper Izvestiya. Kabulov, who is also the Russian Foreign Ministry's director of the Second Asian Department in Afghanistan, therefore urged that the US must withdraw its troops from the country and said that Russia opposes the US idea of replacing the regular US Army presence there with private military contractors. "Moscow never hastened the withdrawal of US troops from Afghanistan. But since the US Army [campaign] there has come to nothing, let them leave Afghanistan," he said. Sputnik Afghanistan discussed the issue with Afghan political analyst Akhtar Shakh Hamdard, who explained why the US won't leave the country "any time soon" despite its record of failure there. "The US has long-term strategic plans for Afghanistan. They have built their military bases there. Americans have made serious investments in the region, where their opponents (Russia and China) may cause serious damage to Washington through Afghanistan," the political analyst told Sputnik. He also echoed another comment made by Zamir Kabulov, who had responded to infamous Blackwater founder Erik D. Prince's call to restore the British East India Company approach. The Company effectively ruled parts of India in the 18th and 19th centuries with a private army larger than Britain's own; its actions prompted India to rebel in 1857 and set the stage for the American Revolution in the 1770's by triggering the Boston Tea Party. "It pretty much resembles a colonial policy. Prince suggested restoring the British East India Company. The Americans therefore revealed their plans: Afghanistan is nothing more than a colony for them," Kabulov told Izvestiya. "The US has announced Central Asia as a zone of their interests, as it is rich with explored natural resources reserves. Iran, which is also rich in oil and gas, is also of strategic importance to Washington. And the shortest route from the US to Iran is through Afghanistan," Akhtar Shakh Hamdard told Sputnik. These are the reasons why the US won't leave any time soon and all the speculations on this topic are nothing but a standard political game for the US, the political analyst elaborated. Besides, he said, the US has made an agreement with the government of Afghanistan, which made their military presence in the country absolutely legal. The US is spending about $20-25 billion on Afghanistan; it is a mere trifle for a country with an annual military budget of $600 billion, he said. The only thing the US is concerned about is its personnel losses in the country, which could lead to protests within the US. The political analyst also commented on whether the activity of Taliban and Daesh in Afghanistan might force the US to leave. "Daesh is the project of the US, UK and Israel. Under their plan, Daesh was supposed to conquer Central Asia through Iran and Afghanistan and further threaten Russia. Daesh militants should have wiped out the Shia regime in Iran, seized the Caucasus and [spread] through Afghanistan to Central Asia," Akhtar Shakh Hamdard. Russia's successful campaign in Syria has foiled these invasive plans, however Daesh activities in Afghanistan won't force the US to leave the country, the political analyst concluded.